Improving Emotional Intelligence: What is the best approach? Since Peter Salovey and Jack Mayer first introduced the concept of emotional intelligence in 1990, there have been more than 3,000 scientific articles published on it. Collectively, this research suggests that you can improve your emotional intelligence. However, like improving any skill we have, improving emotional intelligence takes time and the systematic practice of applying effective tools and techniques designed to help us. Unfortunately, there are a lot of tools and techniques that are not effective and much scepticism and disappointment abound as a consequence of their use. So, what is the best approach to developing emotional intelligence in individuals and groups and what is the return on investment (ROI)? This article focuses on how to best develop the emotional intelligence of people working within an organisation, rather than other contexts (such as students within a classroom). This is what I do for a living (and have been doing for the past 16 years), and it is the area I have published most of my own research in. A lot of what I describe in this article probably holds true to other contexts, however, developing emotional intelligence really is a specialty skill and despite my experience I would be the first person to say I am not qualified to work in other contexts such as the classroom. Suffice to say, different contexts (education, home, parenting, relationships, workplaces) have similar and different approaches required and cross-over is not as easy or effective as it may seem. There are a lot of variables to get right in improving emotional intelligence. For the purpose of brevity this article focuses on three key factors: The skill of the facilitator or coach, the content of the program and the format of it. 1. The skills of the facilitator or coach. There is a wealth of information focusing on the competence of facilitators and coaches and the outcomes they can produce. Indeed, industry bodies and associations such as the Association for Talent Development (for facilitators) and the International Coach Federation (for coaches) espouse what competencies and levels thereof are important. I personally find that while formal qualifications provide a good basis, emotional intelligence competencies are critical and perhaps more predictive of success. Unlike the great swimming coach who cannot swim story, those who teach emotional intelligence need to practise it themselves and apply or demonstrate it in their facilitation or coaching. Self-awareness, empathy, vulnerability, good story-telling ability and the capacity to positively influence the way others feel are key skills of an effective emotional intelligence facilitator or coach. To determine these skills for a potential coach or facilitator, ask them to conduct a complimentary or taster session with you or a group of colleagues within your workplace. 2. The content of the program. Like for any type of program, the content needs to be engaging, experiential, appeal to different learning styles and (most importantly) comprise practical tools and concepts that can be applied on the job. Effective programs will also involve scenarios and real-plays (or role plays) where participants practise applying tools and techniques during the session, receive feedback on their performance (from an observer or video debrief) and then refine their approaches. As I have previously written about, a Competency-based Emotional Intelligence Assessment (used pre and post course) is also critical. These help to not only increase self-awareness about one’s level of emotional competence, they also suggest specific emotionally intelligent behaviours to demonstrate within the workplace. 3. The format of the program. A Journey format (e.g., a session that focuses on a development model or concept for one emotional intelligence competency at a time, starting with self-awareness). This format allows people to then apply the models on the job and continued learning through practical application. In our own programs we always start subsequent sessions with reflection and include a peer-coaching or mentoring component to help facilitate participant-led learning. Between sessions, participants are paired-up (and rotated each time) and asked to share their approaches and insights in how to apply the content. Below is an example of what an emotional intelligence development journey can look like. One or two-day workshops can be great for introducing models and concepts, shifting mindsets and getting people to practise different approaches. However, real behaviour change takes time, reflection, refinement and experiences from real-world application which is why the journey format works best. If you are planning on designing one or two-day programs, ensure there is additional follow-up and support to maximise ROI. Personally, I find one-on-one coaching best for remedial type situations or where someone needs considerable help in improving their emotional intelligence. We have also found that you can deliver effective development programs via webinar (in a journey format) where you encourage people to practise on the job and share with a learning partner. The typical improvements for this medium is around 10% in group average emotional intelligence scores. On the other hand, traditional face-to-face learning works best. Typical improvements for this medium are around 20%. With any format we have found the majority have been improving and some people (usually 2-3 out of a group of 15-20) go backwards in their emotional intelligence. This can result from a number of different factors including (but not limited to) a lack of engagement in the program or completion of on-the-job applications, significant life events occurring outside of the workplace (such as a relationship breakdown), or a lack of managerial support (i.e., “…my manager doesn’t behave like this towards me”). The result of improving emotional intelligence within organisations can be game changing for business and life changing for people. Decades of research on employee engagement by companies like Gallup and Aon Hewitt and direct studies on the business case for EI have revealed a direct link between the way people feel and the way they perform. Our most recent Case Study of a large Government agency, we found a 24% improvement in the emotional intelligence of employees doubled their level of engagement. Often we find that a 10% improvement in emotional intelligence starts to produce a significant return on investment. For instance, at Sanofi we have shown that an 18% improvement in emotional intelligence in their sales team lead to a 13% increase in sales revenue, returning $6 for every $1 invested in the program. 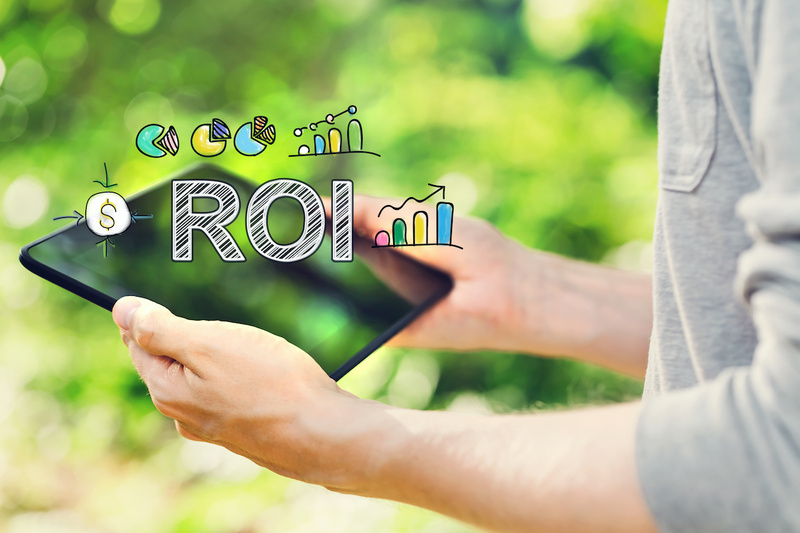 While the ROI for business is impressive, it is also especially rewarding to participants who make the time and effort to get the most out of the program. Feedback from the Sanofi program shows the program not only helped improve the sales performance of the reps and their managers, but it also helped them improve the quality of their relationships with each other. Relationships seemingly do not just improve in the workplace. Many people also see improvements in their personal lives as well. What I love most about working with emotional intelligence is that it is not a trait or an ability we either have or do not have. Although levels of emotional intelligence differ from person to person, everyone is emotionally intelligent and can focus on improving their level of emotional intelligence by systematically engaging in activities or techniques that help facilitate positive emotionally intelligent behaviour (and good physical and mental health). Highly emotionally intelligence people do experience negative emotions and thoughts and are not always optimistic. They are, however, able to effectively balance negative emotions with positive ones and make effective, intelligent responses to emotions.